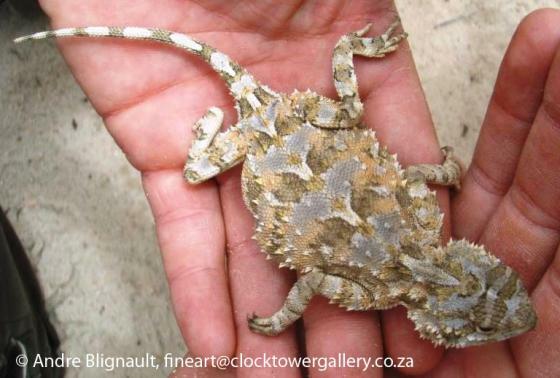 Can you confirm these amateur observations of Agama hispida? makarikarika: NE Botswana; Type locality: Makarikari Pan, North Bechuanaland. 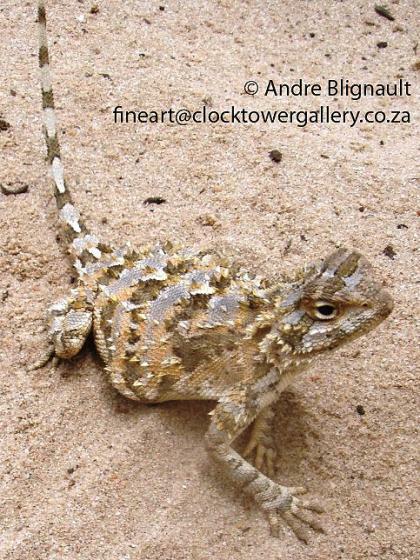 Comment Subspecies: Agama hispida distanti is now considered as a subspecies of Agama aculeata. The status of Agama hispida makarikarika is unclear. Based on Leache et al. (2014) it is perhaps synonymous with A. etoshae, but not related to hispida! “23. L. cauda tereti mediocri, vertice trimuricato. Mus. Ad. Fr. 1. p. 44. Lacerta eadem. Seb. mus. 1. t. 109. f. 6. “23. Lizard with a terate average tail, triple-spined at tip. Mus. Ad. Fr. 1. p. 44. The same lizard. Seb. mus. 1. t. 109. f.6. t. 83. f. 1. 2. Monard, ALBERT 1937. Contribution à l'herpétologie d'Angola. Arq. Mus. Bocage, Lisbon 8:19-153.